Why is the dangerous Anjem Choudary being released onto our streets? Anjem Choudary, the Islamist preacher convicted in 2016 of inviting support for Islamic State, is to be released from prison next month, despite being described by prisons minister Rory Stewart as “genuinely dangerous”. How, it has been (not unreasonably) asked, can this be? And what, if anything, can be done about it? The first rule of Law Club is that you do not talk about Law Club, or at least do not talk about law cases until you have read any available judgment. To this end, the sentencing remarks of Mr Justice Holroyde when passing the 66-month (5 and a half year) sentence on Choudary in September 2016 are essential. They tell you most of what you need to know about the facts and the way in which the judge approached the sentencing exercise. But to supplement them, some further legal background may help. Any defendant sentenced to a “fixed-term” sentence is automatically released at the half-way point of their sentence. This is automatic (by virtue of s.244 Criminal Justice Act 2003). It doesn’t depend on good behaviour, or successful rehabilitation, or satisfaction of any other condition. Why? Well, this is something covered in some detail in my book, (Chapter 10: The Big Sentencing Con), but the justifications offered are two-fold. First, releasing a defendant on licence means that the authorities have a measure of control over an individual as they reintegrate into society. There are conditions attached to the licence, usually including supervision by the probation service, and if the defendant breaches those conditions or commits (or is even accused of) a further offence, they can be recalled to prison to serve the remainder of their sentence. The second, unspoken reason, is one of practicality and cost. Prison is expensive, and the budget was cut by 40% in 2010. Locking up all or most prisoners for the full terms of their sentence would push our already-overcrowded and ungovernable prisons beyond salvation. Automatic release operates as a valve to relieve pressure on the system. You may not like those reasons, you may consider the latter in particular a darn unsatisfactory justification (I certainly do), but unless and until there is a rush of popular support for vastly expanding the prison budget, or a radical reimagining of how often we reach for custody as a sentence, it’s easy to see the political appeal. Pretend hardened crims are being handed whopping sentences, then let them out early so we don’t actually have to pay for it. It is equally easy to see how the public often feel misled, as automatic release – although often explicitly stated by the sentencing judge – is rarely explained properly in news reporting. If he doesn’t satisfy the parole board, Jim stays where he is, potentially until he has served the full 10 years, upon which point he will be released on licence for the 5-year licence. Although I have expressed my view as to the likelihood of your continuing to spread your message, and as to your dangerousness, the offence under section 12 is not one to which the provisions of Chapter 5 of the Criminal Justice Act 2003 apply, and the court therefore has no power to impose an extended sentence. 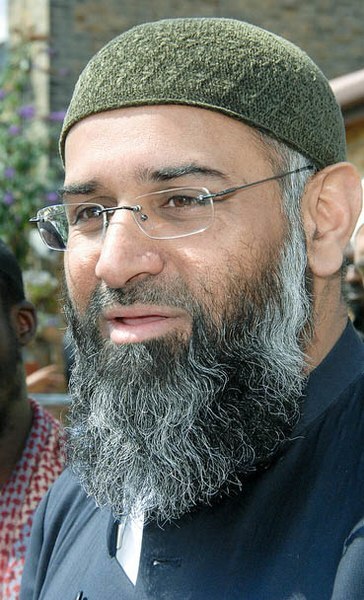 The offence of which Choudary was convicted did not carry an extended sentence. Nearly all terrorism-related offences do, but this rarely-deployed offence contrary to s.12 of the Terrorism Act 2000 is not on the list. Parliament, for whatever reason, did not see fit to do so. This meant that the only option open to the court was a determinate (fixed-term) sentence. The outcome was therefore inevitable from the moment Choudary was charged. There was never any prospect of him receiving anything other than a standard determinate sentence which would see him automatically released at the half-way stage, irrespective of whether he was reformed or, as the case may well be, even more of a danger to the public. If this sounds highly undesirable, some comfort may be found in this: the government is alert to the gap in the law. The Counter-Terrorism and Border Security Bill proposes adding section 12 (among other terror-related offences) to the list of specified offences which carry extended sentences (H/T @leeofthebailey). But at present, we will have to rely upon the (one would imagine latex-trouser-tight) licence conditions and Choudary’s oversight by the security services to provide sufficient public protection. Finally, to those wondering why, if Choudary was given a 66-month sentence in September 2016, he is being released now only 2 years later, instead of 33 months later, the answer is again in the sentencing remarks. Choudary had spent some time in custody awaiting trial, and some time on bail on an electronically monitored curfew. A day spent in custody on remand counts as a day towards sentence. A day spent on an electronically-monitored “qualifying curfew” (of at least 9 hours a day) counts as half a day in custody. Again, this is automatic. This entry was posted in Lawsplaining, Sentencing and tagged Anjem Choudary, Criminal Courts, Law, Sentencing, Terrorism. Bookmark the permalink. Locking him up was not the right solution to Choudary. They gave him publicity and put him in a place with those suseptable to influence. We need to get better at addressing hateful idiots without relying on incarceration. The argument over the sentence is a distraction from that.